What is it about? Born in Ethiopia and adopted by Swedish parents, this award-winning chef has a personal and global approach to cooking. 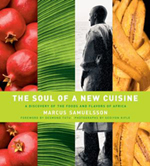 A newer version of The Soul of a New Cuisine, this exciting storybook/cookbook takes us along Samuelsson's return to his homeland as he explores Africa's rich diversity of cultures and cuisines. Using ingredients that are readily available in American markets, these recipes are doable and delicious - it also includes 5 new African-inspired Starbucks recipes for home baristas! 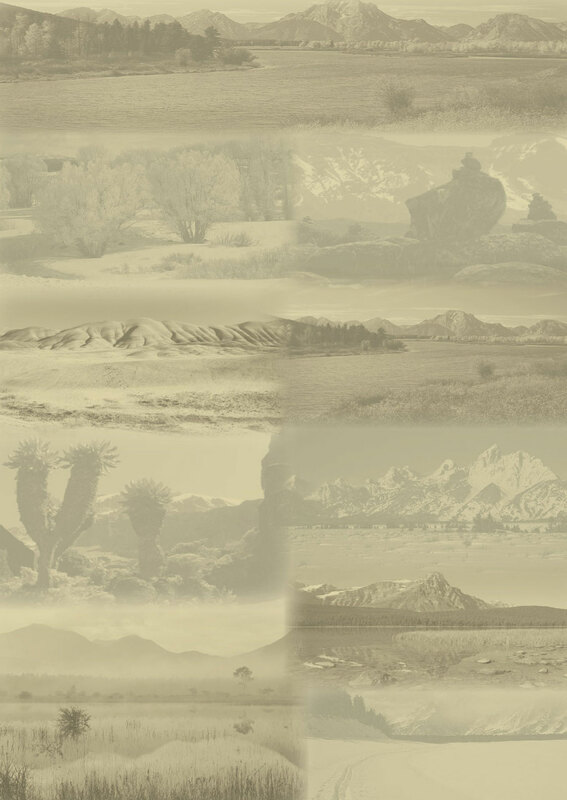 From traditional dishes to original and unique cross-cultural creations of his own, Samuelsson takes us on a journey of the heart and of the palette. This special edition is available for purchase at your local Starbucks, and $1 of every purchase as well as 20% of the author's royalties are donated to UNICEF. Otherwise, turn to your local bookstore for the first edition pictured to the left. Meals served by new friends in distant countries result in recipe swaps. We divulged in this divine delight at our 20th Anniversary Celebration in October, thanks to Fran! Photo: 20th Anniversary Celebration - one popular cake! Preheat oven to 300 degrees Fahrenheit. Line a 9-inch spring form pan with waxed paper. Beat the egg whites with the cream of tartar until they form peaks. Add the sugar gradually and beat until stiff. Beat the egg yolks and vanilla until very thick and pale yellow in color. Add one third of the whites to the yolks; mix gently but thoroughly. Gold the yolk mixture, flour and baking powder gradually into the egg white mixture. Pour into the prepared pan and bake for 40 minutes. Meanwhile: Squeeze the juice of the oranges and lemon. Reserve the rind of one orange. Measure seven ounces of orange and lemon juices; add the Grand Marnier. When the cake is done, turn upside down to cool and remove the waxed paper. 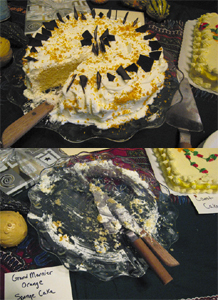 Poke holes in the cake with a cake tester or fine knitting needle. Pour the orange juice mixture over the cake slowly until it is absorbed. Sprinkle with one Tablespoon of sugar. Refridgerate overnight. Icing: Whip the heavy cream with three Tablespoons of confectioner's sugar until thick. Cover entire cake; sprinkle with grated chocolate and grated orange rind. Enjoy!